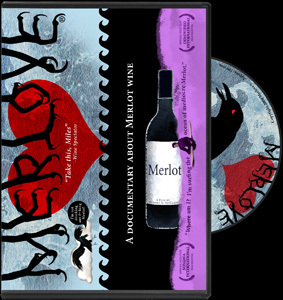 The Merlove Crew wants to send a big warm thank you to the Washington State Wine Commission. A special thanks to Robin Pollard, Madeline Dow, Ryan Pennington, & Shayn Bjornholm, MS. We felt as if we were welcomed with open arms. We were very impressed with the demeanor of everyone we met on this trip. It was quite humbling. We were embraced as visiting friends. I think what we most went away with on our trip to Washington State was that it’s wine industry is very much like a family unit. Many of the people in it share equipment and cellar recommendations. They feel as if each individual succeeds, then they all succeed. This was a refreshing outlook. It was a “all for one and one for all” type of attitude, very much unlike some rock star wine makers that are just out for themselves to succeed and not necessarily caring about others. There is a definite strong sense of place for Washington State wine producers. They are not afraid to help their neighbor out, even if they are seen to the world as competitors. They are all still friends just the same. I think many can learn from their example. It is all about not being afraid to try something new, whatever it may be…..it can only lead to better things. In this case study = better wines, better Merlot. While in Washington State we felt as if we were extended family. We were given the royal treatment. This was indeed a warm and fuzzy feeling inside of us. It made us not want to leave. We can’t wait to visit again.